Review of the new Between the Buried and Me album, Automata II, out on July 13th, 2018. 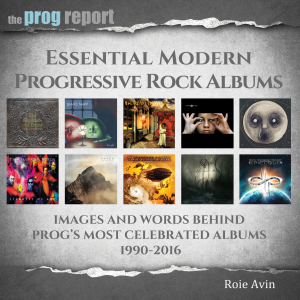 After waiting for several months since the release of Automata I (review here), I had the pleasure of a terrific experience in joining Roie Avin and BTBAM bassist, Dan Briggs, in The Prog Report’s podcast of the Top 5 Haken songs. 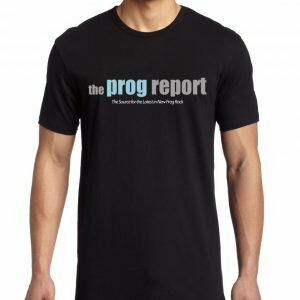 While discussing all things Haken, Dan reveals some unique insight to the workings, influences and habits of the BTBAM world. Towards the end of the podcast, Dan teased us with some brief commentary on the soon to be released Automata II. 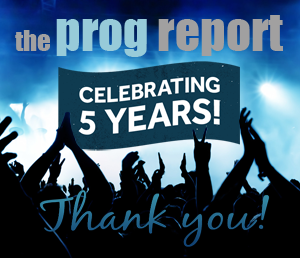 “The fact it got split up, all the prog stuff ended up on the back of the album. It’s going to be a blowout! I would say those four songs are tops–some of my favorite we’ve done. It’s a quirkier; it definitely takes a turn when you get to the ‘b’ side.” After such an enthusiastic statement, I was ready to take on this new prog journey. After listening and appreciating the second part of the Automata concept, I completely understood Dan’s analysis and enthusiasm. The first track, “The Proverbial Bellow” is the longest track at 13-plus minutes and starts off in signature prog BTBAM style as the first almost three minutes of instrumental composition prowess transitions the listener into Roger’s customary sound of smooth vocals. The song then builds into the chorus at about the 5-minute mark followed by a sweet melodic interlude where sonic smoothness from the guitars and bass are boasted. A quick spot of silence about half way is quickly disrupted by a full on prog breakdown. In signature fashion, Rogers bounces between melodic and growling vocals in the perfect balance as the story continues to unfold. Another quick pause at the 8-minute mark is followed by yet another climax before closing the song out with the great chorus and closing guitar is very soulful and does not disappoint. This great song closes as an organ fades out while playing the final chord. “Glide” is a short intro in which an accordion takes the lead then gets support from piano and guitars as the music eases into soft Riverside-like vocals. The slow circus style music transitions into a finger snapping piano and drums section which immediately stops, allowing a full band onslaught for “Voice of Trespass” which is reminiscent of over-the-top metal attack with Blake Richardson’s swing double kick chops leading a full on brass and guitar rhythm. Jens Bogren’s mastery of mixing can be fully appreciated here as the production of this album is second to none. Fans of The Dear Hunter and Thank You Scientist will feel very at home with this groove. They have a great breakdown which drums, brass, piano, guitars, and scatting vocals trade off riffs. Rogers growling vocals then kidnap this swinging metal section into an intense section of blast beats and insane coordinated runs from Waggoner, Waring and Briggs. To allow the audience to catch their collective breath, heavy chugging guitars carry the next several minutes as the music leads to a familiar chorus of Automata I “Condemned to the Gallows” chorus. This leads to the finale of the Automata concept “The Grid”. This 9.5 minute finale starts with a great organ melody backed by a basic and powerful rhythm. Then a scratchy rhythm guitar riff brings in Rogers vocals which again bounce between melodic and growling vocals. The familiar musical theme is carried through most of the song; and it is once again emphasized with the lonely acoustic guitar playing as the song heads to the end with the lyric “…we are in this together…” Between the Buried and me then spend the final two minutes of this epic effort with a chord progression unusually uplifting (by their past standards) with beautiful dueling solo’s between Waring and Waggoner. This type of polyphonic soloing is more reminiscent of a Morse Spock’s Beard epic ending. The decision of splitting this concept into two separate releases is advantageous in several ways, specifically by making it more palatable as you take in fewer songs in one sitting. The combination of both Automata I and II amalgamates into an all-encompassing and balanced compositional work. This will please both the longtime fans as well as new listeners; a very well done feather in BTBAM’s prog concept album cap. 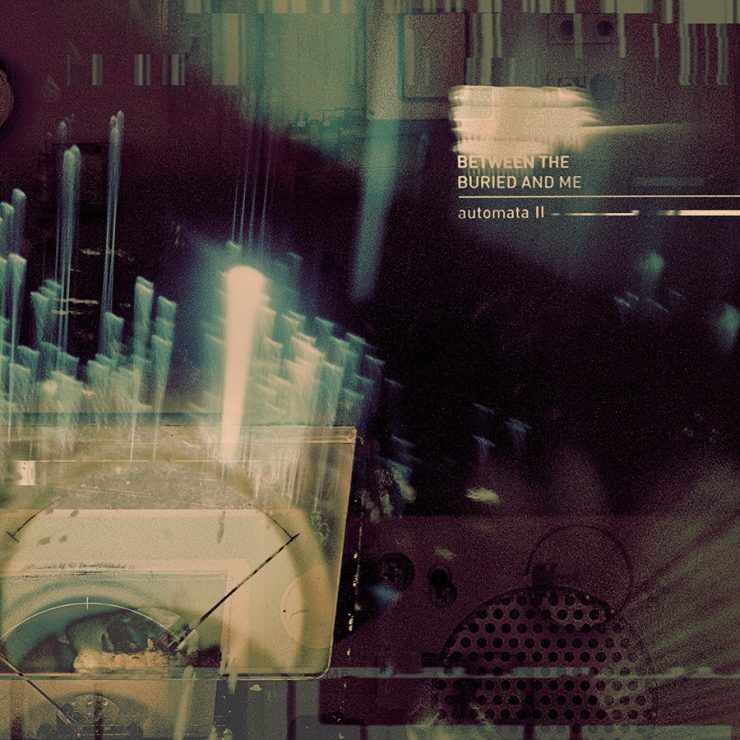 Automata is sure to be a top prog album of 2018. Read Dustie Waggoner’s interview about Automata II here.